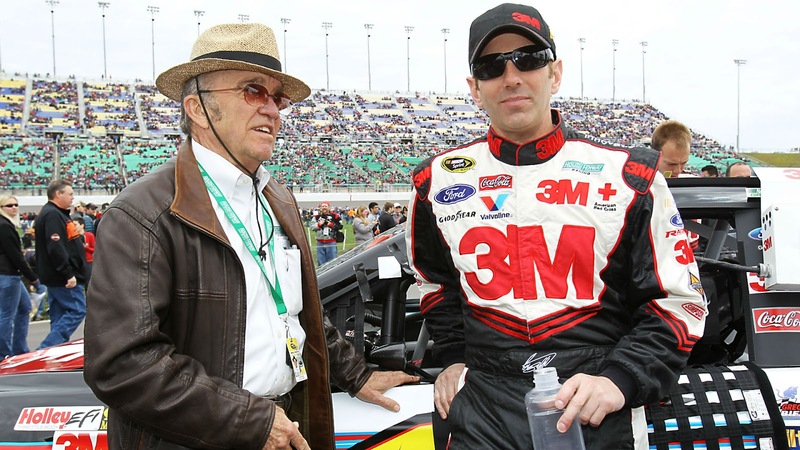 After a number of sub-par seasons, Roush Fenway Racing is off to a solid start in 2016, giving longtime fans of the Ford team something to cheer about for the first time in recent memory. RFR started the weekend strong at Atlanta Motor Speedway, practicing well and qualifying all three of its cars in the Top-15 for the first time since Michigan in the fall of 2014. Trevor Bayne led the way with a third-place qualifying run, followed by teammates Ricky Stenhouse, Jr. in fifth and Greg Biffle 14th. Stenhouse then overcame a late pit-road tangle with Michael McDowell to claim a 10th-place finish in Sunday’s Fold of Honors QuikTrip 500, with Biffle and Bayne trailing in 13th and 22nd place, respectively. For a team that hasn’t put three cars in the Top-15 since the 2014 Bristol night race, Sunday’s verdict was clearly a step in the right direction; not to mention a much-needed morale boost. 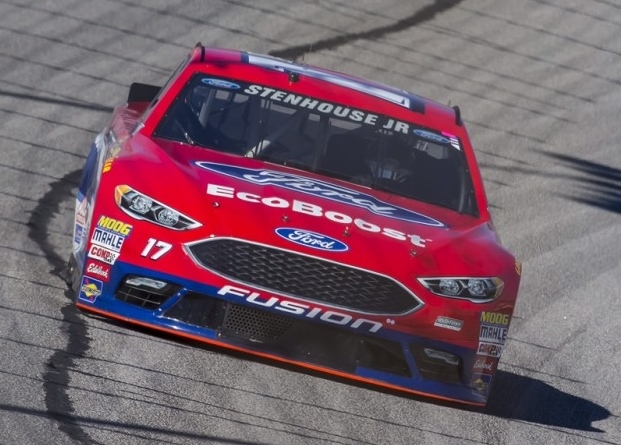 “Our Ford EcoBoost Fusion was like I hoped it would be,” said a smiling Stenhouse after the race. “Practice felt good and I was hoping that was going to correlate over to the race. We were exactly where we thought we would be. We weren’t real good for the first 10 laps of a run, but really good at the end of the run. I’m happy with all the hard work that these guys put in. Bayne said Sunday’s results were not a complete surprise, pointing to a pair of encouraging runs last season with NASCAR’s new, low-downforce aerodynamic package. “We saw that we had speed last year at Kentucky and Darlington,” Bayne said. “I was hoping for a Top-15 day. That’s what we’re working toward and that’s our goal every week – to run Top-15 until we can run Top-10 every week -- be consistent and don’t make mistakes. “Our car had good speed, but it was just difficult to get through the center of the corner. I’m really proud of my guys’ effort on this AdvoCare Ford. We had a great qualifying effort and made a lot of gains from where we were to now. I’m looking forward to seeing what we can do in Vegas. Bayne said those outside the organization don’t understand the effort involved in digging out of a competitive hole. Jack Roush’s boys have not graced a Sprint Cup Series Victory Lane since Carl Edwards prevailed on the road course at Sonoma Raceway in 2014. Last year, the team failed to place a driver in the Chase for the first time in their history. And while there’s still plenty of work to do before a return to the Glory Days, Sunday’s performance indicates that there just might be a silver lining behind RFR’s cloud, after all. With two races complete in the 2016 season, Stenhouse stands 13th in the championship standings. Biffle is 24th, with Bayne 27th. Those aren’t vintage RFR numbers, and no one inside the team’s Concord, NC headquarters is even remotely satisfied. But for an organization that has spent most of the last two seasons slumped against the competitive ropes with its collective nose bloodied, it’s an encouraging start. 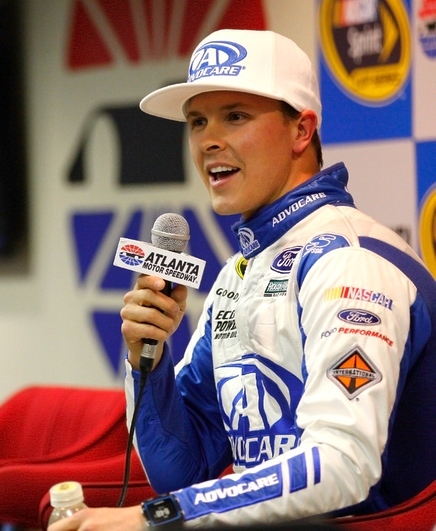 “One of the things that has been preached to us from Kevin Kidd, Robbie Reiser and Jack Roush is execution,” said Bayne Sunday. “They say our cars are going to get better. We’re going to work through it, we’re going to get our cars faster. And when those times come, we have to be able to execute. Legendary engine builders, crew chiefs, owners, drivers and the most recognizable voice in motorsports. The talents, eras and levels may differ, but all share a common thread. 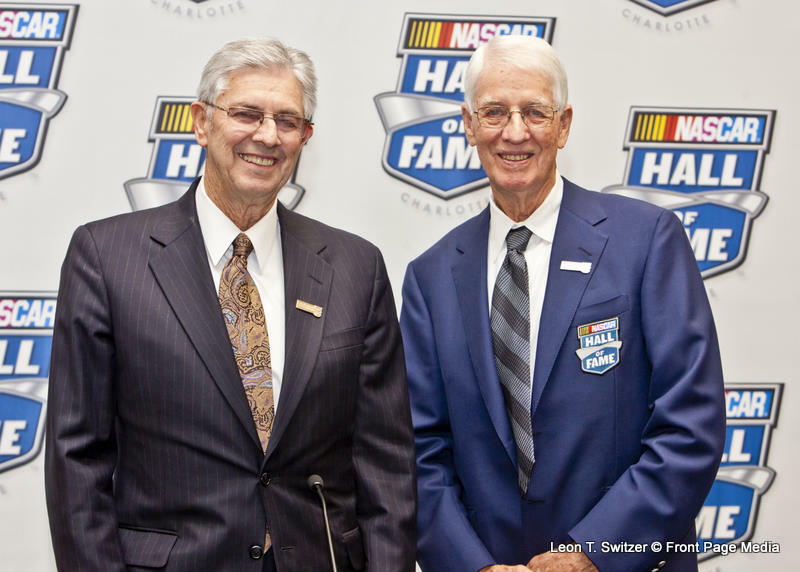 They shaped NASCAR, and on Wednesday, they were recognized as nominees for the highest honor the sport bestows – enshrinement into the NASCAR Hall of Fame. NASCAR today announced the 20 nominees for the NASCAR Hall of Fame’s Class of 2017, as well as the five nominees for the Landmark Award for Outstanding Contributions to NASCAR. Included among the list are five first-time nominees, all legends who made excellence a habit through their various contributions to the sport. Among them are record-holding four-time NASCAR Camping World Truck Series champion Ron Hornaday Jr.; the man with the most car owner wins in NASCAR national series history with 322, Jack Roush; former all-time consecutive starts leader Ricky Rudd; legendary motorsports broadcasting pioneer Ken Squier; and three-time premier series champion engine builder and three-time Daytona 500-winning crew chief Waddell Wilson. For a full list of nominees, please see below. From the list of 20 NASCAR Hall of Fame nominees, five inductees will be elected by the NASCAR Hall of Fame Voting Panel, which includes a nationwide fan vote on NASCAR.com. Voting Day for the 2017 class will be Wednesday, May 25. Added to this year’s list of Landmark Award nominees is Janet Guthrie – the first female driver to compete in a NASCAR premier series superspeedway race. The four returning nominees for the Landmark Award are H. Clay Earles, Raymond Parks, Ralph Seagraves and Squier (more on each below). Potential Landmark Award recipients include competitors or those working in the sport as a member of a racing organization, track facility, race team, sponsor, media partner or being a general ambassador for the sport through a professional or non-professional role. Award winners remain eligible for NHOF enshrinement. Buddy Baker, won 19 times in NASCAR’s premier (now Sprint Cup) series, including the Daytona 500 and Southern 500. Red Byron, first NASCAR premier series champion, in 1949. Richard Childress, 11-time car owner champion in NASCAR’s three national series. Ray Evernham, three-time NASCAR premier series championship crew chief. Ray Fox, legendary engine builder, crew chief and car owner. Rick Hendrick, 14-time car owner champion in NASCAR’s three national series. Ron Hornaday Jr., four-time NASCAR Camping World Truck Series champion. Harry Hyde, 1970 NASCAR premier series championship crew chief. Alan Kulwicki, 1992 NASCAR premier series champion. Mark Martin, 96-time race winner in NASCAR national series competition. Hershel McGriff, 1986 NASCAR west series champion. Raymond Parks, NASCAR’s first champion car owner. Benny Parsons, 1973 NASCAR premier series champion. Larry Phillips, only five-time NASCAR weekly series national champion. 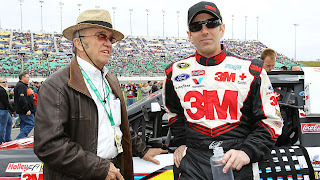 Jack Roush, five-time car owner champion in NASCAR’s three national series. Ricky Rudd, won 23 times in NASCAR’s premier series, including the 1997 Brickyard 400. Ken Squier, legendary radio and television broadcaster; inaugural winner/namesake of Squier-Hall Award for NASCAR Media Excellence. Mike Stefanik, winner of record-tying nine NASCAR championships. Waddell Wilson, won three NASCAR premier series championships as an engine builder. Robert Yates, won NASCAR premier series championship as both an engine builder and owner. Janet Guthrie, the first female to compete in a NASCAR premier series superspeedway race. Ken Squier, legendary radio and television broadcaster; inaugural winner / namesake of Squier-Hall Award for NASCAR Media Excellence. In order to be eligible for the Hall, drivers must have competed in NASCAR for at least 10 years and been retired for two years. Previously, eligible drivers must have been retired for three years. Drivers who have competed for a minimum of 10 years and reached their 55th birthday on or before Dec. 31 of the year prior to the nominating year are immediately eligible for the NHOF. Any driver who has competed for 30 or more years in NASCAR competition by Dec. 31 of the year prior to the nominating year is automatically eligible, regardless of age. Drivers may continue to compete after reaching any of the aforementioned milestones without compromising eligibility for nomination or induction. For non-drivers, individuals must have worked at least 10 years in the NASCAR industry. Individuals may also be considered who made significant achievements in the sport, but left the sport early due to extenuating circumstances. 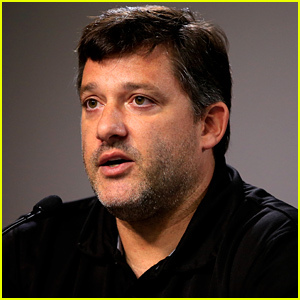 Tony Stewart addressed the media earlier today to discuss Stewart Haas Racing’s surprising decision to change manufacturers in 2017, jumping from Chevrolet to Ford. He said the time has come for SHR to become more autonomous, doing more of its own work instead of relying on technological partners. He said Ford offered SHR the opportunity to begin charting its own course, while also providing an impressive amount of technological support. “It was the resources…we would have access to (that) really intrigued us,” he said. “The one thing that really caught our attention was how dedicated they are and the amount of resources they’re willing to put forth to help us all accomplish the goal (we all) want to accomplish. That was very impressive. The technology layer is huge. They’re giving us something that we really need right now, something that’s going to help us down the road. The three-time Sprint Cup Series champion said he informed Rick Hendrick before the start of the season that a manufacturer change was likely in 2017. “At the beginning of the year, we reached out to Rick and let him know that we were probably going to make a change. We weren’t 100-percent decided yet, but we were 99.9 percent there. We wanted to be fair to Rick. That was something that was important to us, to make sure that we reached out to him and let him know about this before he heard it from anyone else. Stewart said he does not expect any competitive issues during the changeover to Ford, adding, “We’re early enough in the season that it will give us some time later in the year to really get working on this project. I don’t feel like it’s going to be a step backward. We’ve got Greg Zipadelli, we have Rex Stump who came from Hendrick. I feel like we’re pretty stacked on personnel and quality people that can make sure when we make this move that we’re as prepared as possible. I don’t anticipate any setbacks. 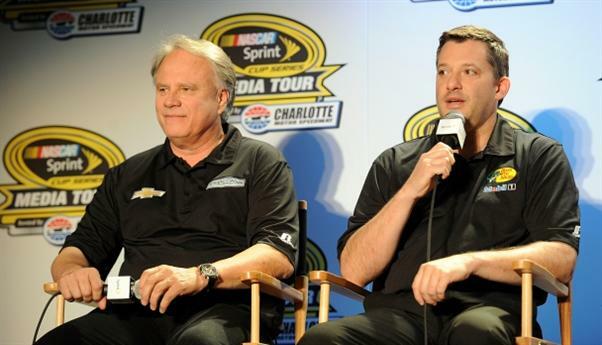 For Haas and Stewart, it's all about winning. Stewart Haas Racing dropped a major competitive bombshell today, announcing that they will jump from the Chevrolet camp to Ford next season, inking a multi-year deal to place drivers Kevin Harvick, Kurt Busch, Clint Bowyer and Danica Patrick at the wheel of Ford Fusions in 2017 and beyond. Today’s announcement was the biggest manufacturer move since Joe Gibbs Racing bolted from Chevrolet to Toyota in 2008; bigger even than Team Penske’s decision to leave Dodge for Ford in 2013. Stewart Haas has been a Chevrolet team since Gene Haas founded his fledgling Cup Series team in 2002. 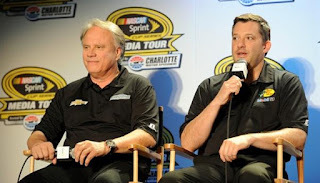 Chevy loyalist Rick Hendrick reportedly helped broker the deal that brought Tony Stewart to SHR as part-owner in 2009, triggering a competitive ascent that culminated in a pair of Sprint Cup Series championships with Stewart (2011) and Kevin Harvick (2014). Hendrick Motorsports has provided chassis and engines to SHR for the last eight seasons, sharing information and technology freely with their bowtie brethren. Ford, meanwhile, has been shut-out of NASCAR’s championship picture since 2003 and 2004, when Matt Kenseth and Kurt Busch claimed back-to-back titles for Roush Fenway Racing. Both Kenseth and Busch ultimately chose to leave RFR and Ford for greener pastures, after the team plummeted in the championship standings and proved incapable of quickly righting the competitive ship. 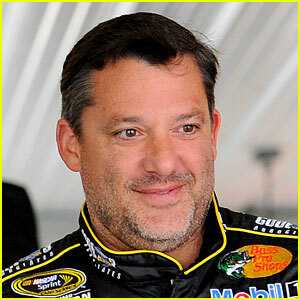 Kenseth now drives Toyotas for Gibbs, while Busch -- ironically -- plies his trade for Stewart Haas. Ford has advanced just one driver -- Team Penske’s Joey Logano in 2014 -- to NASCAR’s Homestead Final Four. Clearly, the Blue Oval was in need of a quick, competitive pick-me-up. Stewart Haas Racing will provide that help, in spades. “We have said very clearly that we are not in NASCAR just to race, but to win races and championships,” said Dave Pericak, Global Director of Ford Performance today. “We believe the addition of Stewart-Haas Racing in 2017 will give our program a major boost in terms of being in contention for both drivers’ and manufacturers’ championships every year. 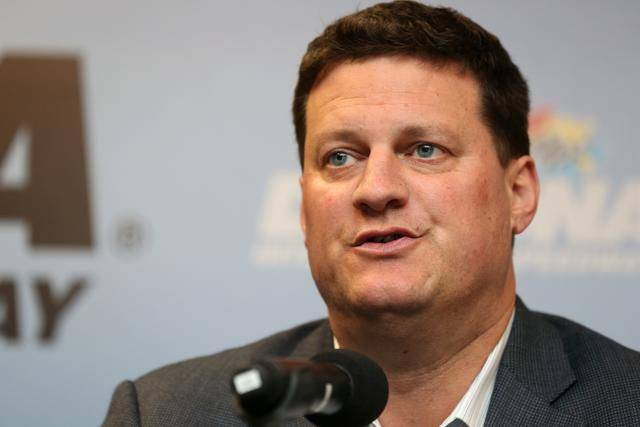 Stewart Haas Racing’s unexpected turn reportedly includes a substantial outlay of cash by Ford, along with promises of long-term technological support. And while money does indeed make the world go `round, SHR – like Ford -- is in business to win races and championships. Stewart – previously a Chevy man to the core -- will wear Ford’s Blue Oval in 2017, charting new manufacturer waters for the first time since his awkward, Toyota-powered final season at JGR. Harvick will drive something other than a Chevrolet for the first time, as well. Their partnership with Hendrick Motorsports -- so successful for so long – will be left by the wayside in favor of a powerhouse new deal that is as promising as it is surprising. For those long-term loyalties to be cast aside, Stewart, Gene Hass, Harvick and the rest of Stewart Haas Racing clearly believe that their race team will be better under the Ford banner than it has been in the Chevrolet camp. At the end of the day, that’s all that really matters. Ford Performance announced today that Stewart-Haas Racing will switch to Ford as its manufacturer, beginning with the 2017 NASCAR season. The multiyear agreement will put Stewart-Haas Racing’s four drivers in Ford Fusions beginning with Speedweeks 2017 at Daytona, with Ford engines prepared by Roush Yates Engines. “We have said very clearly that we are not in NASCAR just to race, but to win races and championships,” said Dave Pericak, global director for Ford Performance. “We believe the addition of Stewart-Haas Racing in 2017 will give our program a major boost in terms of being in contention for both drivers’ and manufacturers’ championships every year. Stewart-Haas Racing will join a Ford NASCAR lineup for 2017 that includes Team Penske, Roush Fenway Racing, Wood Brothers Racing, Richard Petty Motorsports and Front Row Motorsports. Roush Yates Engines is Ford’s technical partner for NASCAR race engines. Stewart-Haas Racing will continue its relationships with Chevrolet and Hendrick Motorsports through the end of the 2016 season. Tony Stewart and Gene Haas will remain co-owners of Stewart-Haas Racing, with Clint Bowyer set to replace Stewart as driver of the No. 14 car in 2017. Stewart will retire as a NASCAR driver following the 2016 season. Justin Marks will return to the NASCAR Camping World Truck Series this weekend at Atlanta Motor Speedway. Saturday will mark his first race for Braun Motorsports, a Mooresville, N.C. based team that made its NCWTS debut last season. This weekend will also be the first race that Marks partners with new sponsor Katerra. Katerra, a high-tech construction company, is based in Menlo Park, Calif., just a few hours from Marks' hometown of Rocklin. Marks made his NCWTS debut at Atlanta Motor Speedway in October 2007. He has three total starts at the 1.5-mile oval, earning a best starting position of 11th and a best finish of 14th. He will first take to the track in the No. 32 Katerra Toyota Tundra for practice on Friday at 10:00 a.m. EST. 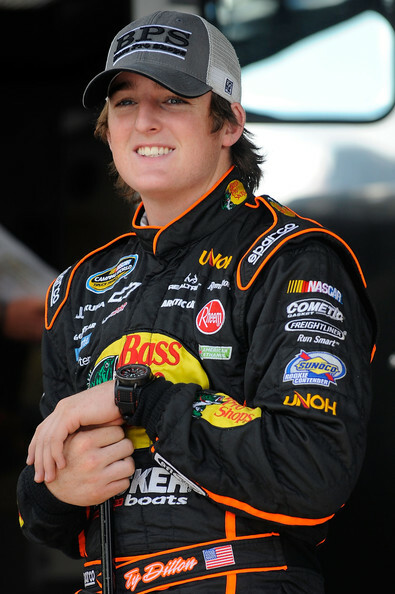 Ty Dillon will drive the No. 14 Stewart-Haas Racing Chevrolet this weekend at Atlanta Motor Speedway, as well as at Phoenix and Auto Club Speedways. Brian Vickers, who finished 26th in relief of the inured Tony Stewart last weekend in the season-opening Daytona 500, will return to the driver’s seat in two weeks at Las Vegas Motor Speedway. Stewart has yet to announce a timetable for his return from a fractured lumbar vertebra suffered in a Jan. 31 ATV accident. He said Sunday that he will see his doctor again in late March to determine how his healing has progressed. SHR has yet to name replacement drivers past the end of March. Dillon finished 25th in the Daytona 500, driving for CircleSport/Leavine Family Racing. Richard Petty Motorsports has announced a driver development partnership with Empire Racing Group for the 2016 season. Empire Racing Group will field a truck in the NASCAR Camping World Truck Series with the iconic, stylized No. 43. The truck will carry sponsorship from Petty's Garage in Friday night’s NextEra Energy Resources 250 in Daytona. Austin Hill will be the first driver to pilot the No. 43 truck and a roster of various drivers will fill out the remainder of the schedule. The team will be led by Empire Racing Group Crew Chief Michael Cheek. The 2016 season will be the 20th anniversary of Cheek's first run with the No. 43 truck. After leading the team as crew chief for driver Rich Bickle as part of the Petty Enterprises stable, the Petty family and Cheek will once again team up to put the truck on track. "I am excited to once again partner with Richard Petty and his organization to race in the NASCAR Camping World Truck Series," said Cheek. "Together, we have the opportunity to put great drivers in this truck and keep our machine at the front of the field. We have a lot of great things planned for this season, and we're excited to see where this program will take both race teams." The No. 43, made famous by "The King" Richard Petty, will adorn the side of the truck in the same style as it has appeared on the historic and current Richard Petty Motorsports race cars. This will be the first partnership in the Truck Series for Richard Petty Motorsports. "This is a great opportunity for Richard Petty Motorsports to develop up-and-coming drivers who will become the future of our sport," said Brian Moffitt, Chief Executive Officer of Richard Petty Motorsports. "It will be great to see the No. 43 return to the NASCAR Camping World Truck Series and to have Petty's Garage as the primary sponsor of the race at Daytona. The 2016 season is sure to produce great results for both Richard Petty Motorsports and Empire Racing Group." More information and details about the driver development program will be released at a later date. Safelite AutoGlass has signed with ThorSport Racing to serve as primary sponsor of the No. 98 Toyota Tundra driven by Rico Abreu during his rookie season in the NASCAR Camping World Truck Series in 2016. 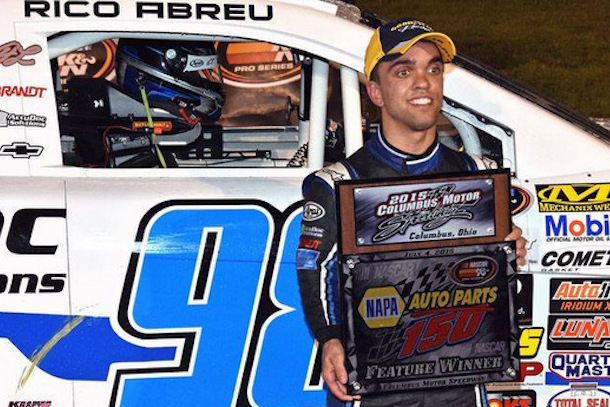 Abreu, the 2014 USAC National Midget champion, Sprint Car standout and back-to-back Chili Bowl Nationals winner, recently announced he would join the Sandusky, Ohio based team this season, piloting the No. 98 Toyota Tundra in search of Sunoco Rookie of the Year honors and the 2016 series championship. "To be able to partner with a company like Safelite for my first full-time season in the Truck Series is an honor," said Abreu. "Safelite was on my midget for this year's Chili Bowl Nationals, and we had some success finding Victory Lane. I hope to be able to continue that success with them this season, as I compete for wins, Sunoco Rookie of the Year honors and the 2016 championship." Founded at a single location in Wichita, Kansas in 1947, Safelite AutoGlass has grown into the largest auto glass specialist in the United States, employing more than 12,000 people in all 50 states. "We're honored to support Rico in his rookie season in the NASCAR Camping World Truck Series, said Renee Cacchillo, Senior Vice President of Customer, Brand & Technology. "Safelite AutoGlass is focused on service and quality, so this is an opportunity to align with another greatly admired brand that shares our passion for customer delight." "As an Ohio-based team, we are very pleased and honored to be partnering with a highly respected and recognized brand," said Matt LaNeve, VP of Sales and Marketing at ThorSport Racing. "Although Safelite has a national presence, their home, much like ours, is in Ohio, and everyone at ThorSport Racing is honored to have them as part of our team in 2016. Through this partnership, Safelite will be exposed to the millions of loyal NASCAR fans across the country, and we are honored to help them continue to build on their nationally recognized brand at the motorsports level." Richard Petty Motorsports announced today that NASCAR driver Jeb Burton will compete full time in the NASCAR XFNITY Series for the 2016 season. Burton will debut the No. 43 Ford Mustang this Saturday in the XFINITY Series season opener at Daytona International Speedway. Burton comes from a long family line of racing in NASCAR's premier series. 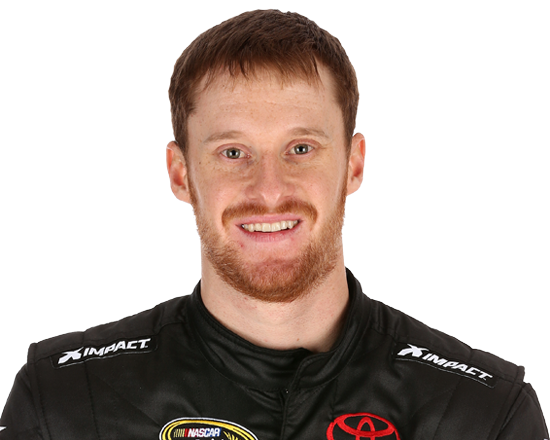 Burton's father, Ward, is a former NASCAR Sprint Cup Series driver and Daytona 500 Champion, and Burton's uncle, Jeff, is also a former NASCAR Sprint Cup Series driver and current NBC Sports broadcaster. Along with his family's racing background, Burton brings four years of NASCAR experience to Richard Petty Motorsports. He competed full time in the Camping World Truck Series in 2013 and 2014, earning one win, seven Top-Five finishes and 20 Top-10 finishes in 50 starts. In the Sprint Cup Series, he competed for BK Racing in 2015 with 28 starts. "I'm really excited to be competing full time in the XFINITY Series for Richard Petty Motorsports this season," Burton said. "When you think NASCAR, you think Richard Petty, and I'm really looking forward to continuing their winning tradition and contributing to the legacy that is Richard Petty." Veteran Sprint Cup Series crew chief, Drew Blickensderfer, will be atop the pit box for Burton in the 2016 season. Blickensderfer joined Richard Petty Motorsports in 2013, serving as the crew chief for NASCAR Sprint Cup Series drivers Marcos Ambrose and Sam Hornish Jr. Blickensderfer also worked with Richard Childress Racing and Roush Fenway Racing, winning twice with Matt Kenseth including the Daytona 500 and once with David Ragan. "We have worked with Jeb on a few opportunities over the past couple of years, and they just didn't fall into place," commented Brian Moffitt, Chief Executive Officer at Richard Petty Motorsports. "We feel Jeb is an extremely talented young driver, and I'm happy we have him in our organization. 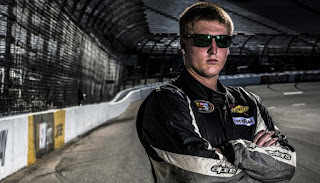 He's proven he can win races and compete at a high level in the NASCAR Camping World Truck Series, and we believe he can do the same in the NASCAR XFINITY Series." Jeb Burton and the No. 43 Ford Mustang will hit the track on Friday, February 19 for practice in preparation for the NASCAR XFINITY Series season opener at Daytona International Speedway. A sponsorship announcement is expected to be made prior to Friday's first practice session. 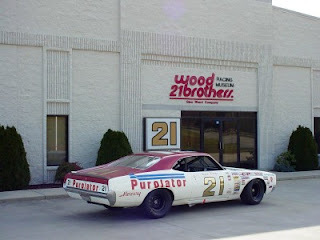 Wood Brothers Racing is as much a part of the NASCAR landscape as gasoline fumes, trophy queens and the checkered flag. The Stuart, Va.-based Woods pre-dated the arrival of NASCAR, fielding potent modified racers for elder brother Glen Wood, wrenched by younger brother Leonard. Their legendary partnership with driver David Pearson produced nearly 100 wins, and their lifetime driver roster reads like a Who’s Who of NASCAR racing. Pearson, Curtis Turner, Junior Johnson, Joe Weatherly, Marvin Panch, Cale Yarborough, Donnie Allison, AJ Foyt, Neil Bonnett and Buddy Baker all spent quality time at the wheel of their No. 21 Fords over the years, making Wood Brothers Racing the equivalent of NASCAR royalty. 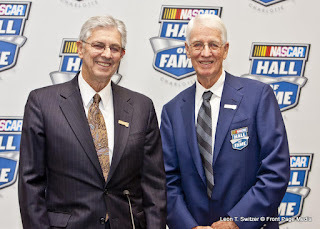 At 90 and 81 years of age, respectively, Glen and Leonard Wood shoulder a lighter load these days, leaving the day-to-day operation of Wood Brothers Racing to the second and third generations of their racing family. Faltering sponsorship has forced the team to compete only part-time in recent seasons, but when they do race, they race competitively. 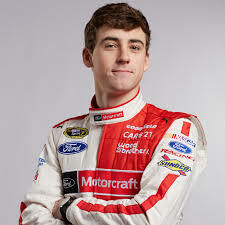 They won their fifth Daytona 500 with rookie Trevor Bayne in 2011, and they’re back with another freshman driver – third-generation wheel man Ryan Blaney – in 2016. Unfortunately, the Woods returned to Daytona Beach this week with a decided handicap. That part-time status resulted in them being left off the list of Sprint Cup Series charter holders; an omission that will require them to race their way into the final four spots of the field for the next nine years, while teams with a small percentage of their tenure enjoy guaranteed starter status. 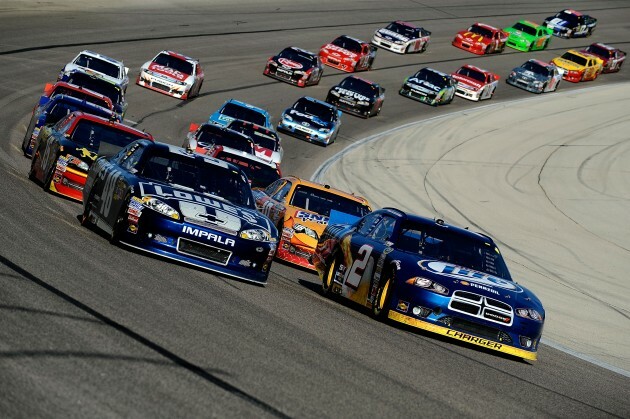 NASCAR’s decision to leave WBR off the charter list has been controversial, to say the least. While their omission is perhaps justifiable by the sheer numbers, NASCAR Nation has been vociferous in its belief that something should have been done to guarantee the Woods a place at the table on race day . I’ll leave that debate to others, focusing instead on the competitive challenges that now face NASCAR’s longest-tenured team. Yes, Wood Brothers Racing must qualify for every race from now on, just as they have for most of the past decade. To do so, they need only to be one of the four fastest “open” teams in time-trial qualifying. Only eight “open” teams turned out to seek a spot in NASCAR’s richest race this week, and fewer still are expected to compete on a weekly basis, going forward. Many of those teams are small, understaffed and unsponsored, struggling to gain a foothold in the sport. With all due respect, those teams present little threat to an operation like the Woods, which enjoys enthusiastic monetary and technological support from both Ford Performance and Team Penske, as well as full sponsorship. Evidence of that support came in the final two minutes of Saturday’s final practice, when Blaney rolled onto the 2.5-mile Daytona International Speedway tri-oval in hot pursuit of Team Penske drivers Brad Keselowski and Joey Logano. On a day when no one else tempted fate with multi-car drafts, Blaney, Keselowski and Logano joined forces and sped to the very top of the speed charts, giving the Wood Brothers an iron-clad insurance policy in the event of inclement weather on qualifying day. Their backup plan was ultimately not needed, as Blaney qualified solidly in seventh place yesterday. It showed, however, just how far Team Penske and Ford are willing to go to ensure the Woods a spot on race day. Blaney will start fourth in Thursday’s first Can-Am Duel 150 qualifying race, but no matter where he finishes, a spot in the Great American Race is assured. Wood Brothers Racing is going to be fine for the remainder of Speedweeks. They’ll be fine next week at Atlanta Motor Speedway, and the week after that in Las Vegas. Barring a complete rainout of practice and qualifying in one of those events, there is virtually no way for a team as good, as fast, as experienced and as well-supported as the Woods to miss the cut. And once we roll into Phoenix International Raceway for the Good Sam 500 on March 13, Wood Brothers Racing will be high enough in the owner’s standings that even a deluge of biblical proportions can do them no harm. "It's all going to work out," said team co-owner Eddie Wood this week. "I promise. It's going to be OK."
Being shunned for a charter was disappointing for the Woods Brothers and their legions of fans. But it is absolutely not the kiss of death. Wood Brothers Racing will persevere as it always has, overcoming whatever obstacles are placed in its path and proving – once again – why it remains one of NASCAR’s elite organizations. WWE Superstar and actor John Cena will serve as the Honorary Pace Car Driver for the 58th annual DAYTONA 500 NASCAR Sprint Cup Series race on Sunday, Feb. 21 at 1 p.m. at Daytona International Speedway. Cena will pace the 43-car field to the green flag in a Toyota Camry. 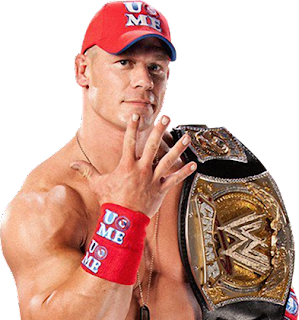 Cena, a 15-time WWE World Heavyweight Champion, has been at the forefront of WWE’s programming for more than a decade, and most recently starred on the big screen in the Golden Globe-nominated “Trainwreck,” as well as “Sisters” with Tina Fey and Amy Poehler. He next will host FOX’s upcoming reality competition series AMERICAN GRIT, in which contestants work together to complete a variety of military-grade and survival-themed challenges. The series premieres Thursday, April 14 at 9 PM ET on FOX. In addition to his celebrity accolades, Cena is a wish ambassador for Make-A-Wish, having granted more than 500 wishes; more than any other celebrity or athlete in the history of the organization. Make-A-Wish has recognized Cena’s unwavering dedication to children with life-threatening medical conditions with their highest honor, the Chris Greicius Award. HScott Motorsports has reached agreement with Premium Motorsports for use of its Charter in 2016, to run the No. 46 Pilot Flying J Chevrolet driven by Michael Annett. This agreement has been accepted and approved by NASCAR. "The No. 46 Pilot Flying J Chevrolet driven by Michael Annett will be locked into the field for the NASCAR Sprint Cup Series in 2016 thanks to an agreement HScott Motorsports reached with Premium Motorsports for a short term transfer of its Charter," said team owner Harry Scott, Jr. "I want to thank Jay Robinson, owner of Premium Motorsports, for his collaborative approach and belief in HScott Motorsports." Earlier this week NASCAR and team owners came to a historic agreement for a NASCAR Charter System. Under the agreement HScott Motorsports was granted one Charter. That Charter will be used to field the No. 15 5-hour ENERGY Chevrolet driven by Clint Bowyer. The new system allows Charters to be transferred on a short term basis. 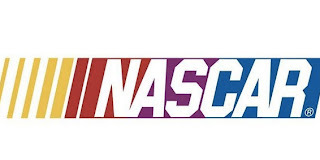 "The new Charter License structure is the result of monumental and unprecedented cooperation between NASCAR and the teams that will further advance the sport into the foreseeable future," said Scott. "The Charter System provides equity and certainty necessary for owners to build a successful business plan and maintain the health of their investment that will benefit fans and sponsors. Stewart-Haas Racing confirmed today what GodfatherMotorsports.com first reported on Wednesday, that Brian Vickers will serve as interim driver of the No. 14 Chevrolet SS for all the NASCAR Sprint Cup Series events during Speedweeks 2016 at Daytona International Speedway. Vickers will begin practicing the No. 14 Mobil 1 Chevrolet today, as he and the team prepare for Saturday night’s Sprint Unlimited. On Sunday, Vickers will pilot the No. 14 Bass Pro Shops/Mobil 1 Chevrolet in qualifying for the Daytona 500, before racing again on Thursday in the Can-Am Duel, culminating in nerxt Sunday’s 58th running of the Daytona 500. 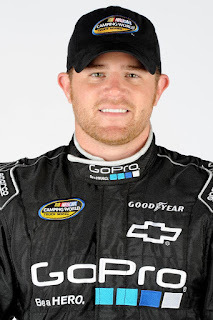 Vickers is a three-time winner in the Sprint Cup Series and was the 2003 NASCAR Xfinity Series champion. His best Sprint Cup finish at Daytona is a second-place result in the 2014 Coke Zero 400. His first career Sprint Cup victory came in 2006 at Talladega Superspeedway, the sister track to Daytona. The 2016 Daytona 500 will mark Vickers’ ninth start in the Great American Race. An interim driver for the No. 14 team in the races following Daytona has not been determined.